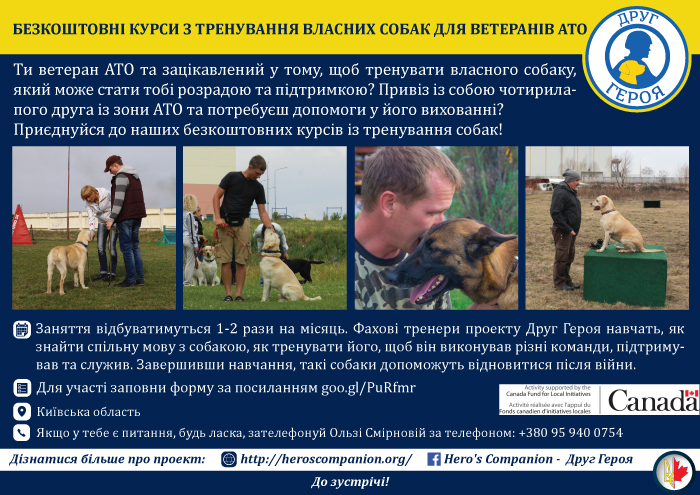 Trains dogs for Ukrainian veterans and victims of conflict. 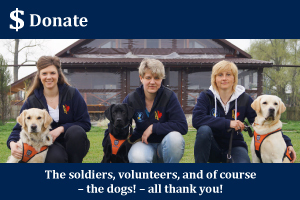 We aim to help heal the invisible wounds left behind by war. 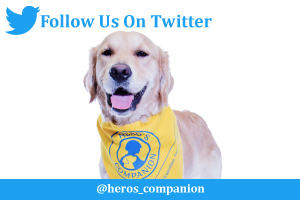 Hero's Companion: who are we? his voice starting to break and his leg beginning to shake. 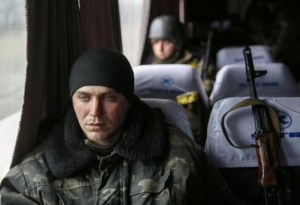 'The physical wounds will heal; those just need time. But other wounds, they will remain.'" 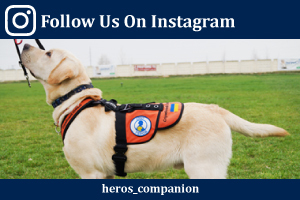 Hero's Companion – Друг Героя is a not-for-profit project focused on harnessing the power of the centuries old human-canine bond to heal the invisible wounds left behind by war. 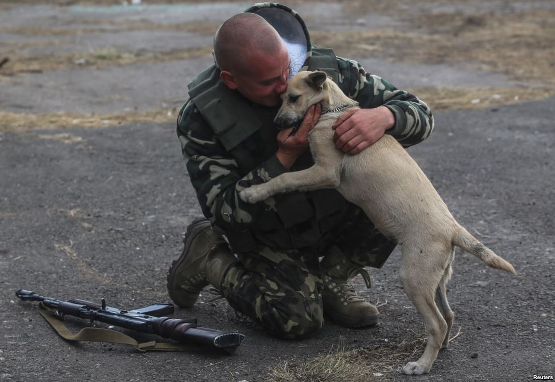 With this goal in mind, the project is aimed at training service dogs for veterans of the Ukrainian Armed Forces and volunteer battalions. Therapy dogs trained to sense a soldier's distress are doing wonders to help veterans return to family life. 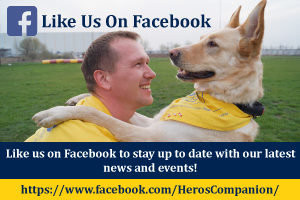 Hero’s Companion is a Canadian-Ukrainian not-for-profit project which aims to harness the power of the human-canine bond to help heal veterans of the Ukrainian Armed Forces and Ukrainian volunteer battalions who continue to struggle with Post-Traumatic Stress Disorder and other invisible injuries inflicted by time spent in combat operations.